Value for money as merchants have full access to ALL ecommerce features irregardless of whichever plan without having to pay extra for apps or access to certain features. 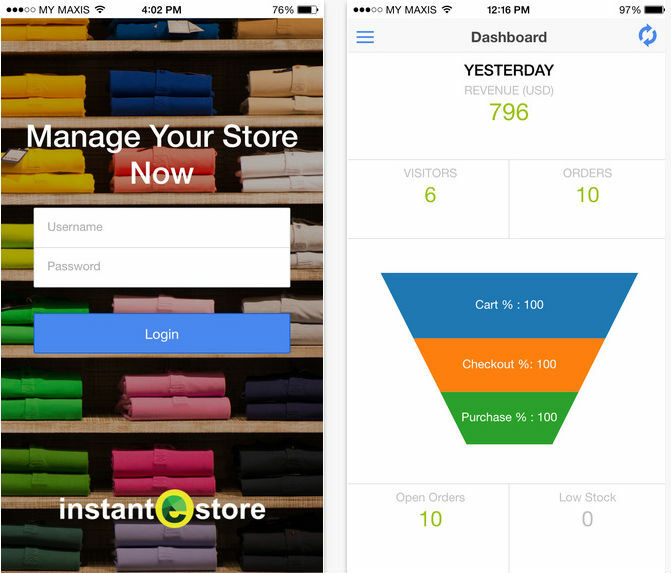 InstanteStore is a full featured ecommerce store solution. It’s fully web based so you don’t have to worry about finding a host or downloading any new updates that are released as it’s all done for you automatically! There’s a 15 day free trial available, and it takes just a few minutes to get signed up for that. 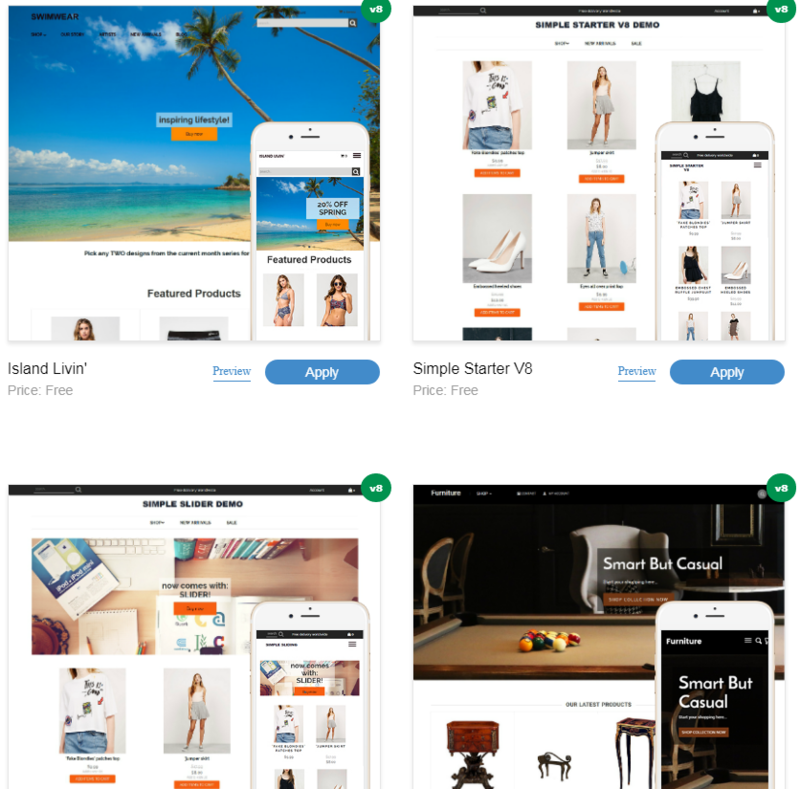 InstanteStore allows you to select the template of your choice, customize your store and brand it, upload your products easily, manage your orders, manage your sales and comes with tools for you to easily market your store. Apart from the MANY standard features that comes with the store, InstanteStore also does custom modules that is specifically just for your store. They pride themselves in growing with your needs. I was told that they have a merchant with a warehouse team and they customized a packing module for the packers that allows them to easily search and pack the orders! InstanteStore is based out of Penang, Malaysia. It’s been around since 2001 and they are the first Malaysian ecommerce store provider. It’s started by Charles Tang, who started selling online way back during his university days in 1998. InstanteStore came about because Charles wanted to help small and medium size store owners to easily set up their store online without burning a hole in their pocket. Their clientele includes those who are just starting out selling online to those who processes millions in sales per month. All InstanteStore plans come with a 15 day free trial. No credit card is required to sign up for the free trial and neither is there any setup or cancellation fees. Payment is on a monthly basis while those who wish to pay annually will get 2 months FREE. InstanteStore currently has 5 different plans to cater to merchants’ needs. Their Startup Plan is an affordable $19.97/month which is great for those planning to start their own online store with less than 100 products. InstanteStore does not charge ANY transaction fees as they believe that whatever a merchant makes should be theirs completely. Other shopping cart providers like Shopify charges a transaction fee ranging from 0.5% – 2.0% per transaction which will eat into merchants’ profit. 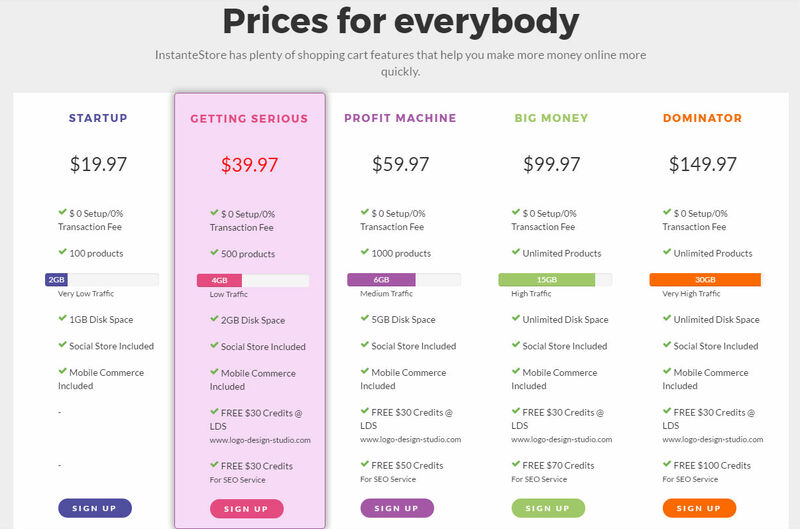 All InstanteStore plans come with full ecommerce features so no matter which plan you choose, you’ll be able to use ALL the features without worrying about having to pay more for apps or additional charges that will eat into your bottom line. Merchants just need to pay the monthly subscription fee and nothing else. If you need more bandwidth or have specific customization needs for your business, you can contact InstanteStore for special pricing and customization request. 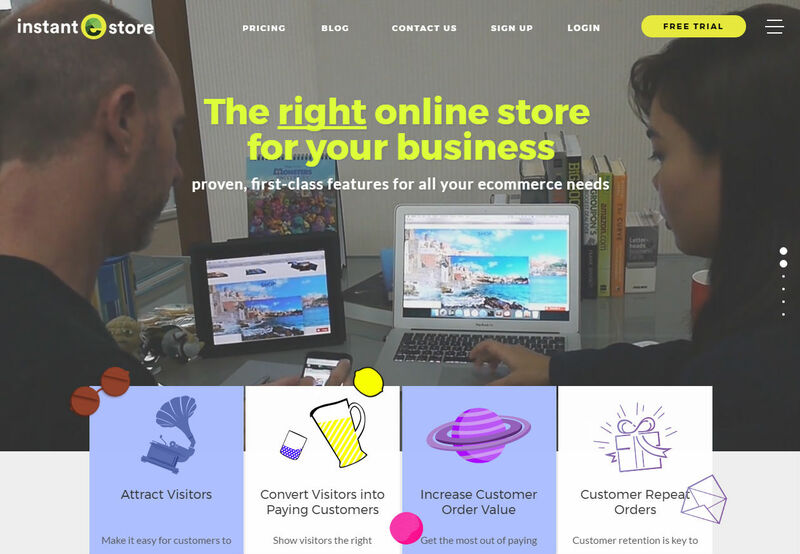 Unlike other shopping cart software out there that will charge merchants who want access to certain ecommerce features that are vital to run their online business, InstanteStore makes all those practical ecommerce features available to ALL their merchants regardless of the plan they are on. These are some of the practical ecommerce features that one would need to use and subscribe to on higher plans if using other shopping cart solutions but they are all readily available by InstanteStore at no extra charge. Merchants can download their store products in formats that can be uploaded to shopping comparison sites such as Windows Live Products, BizRate and Shop.com. 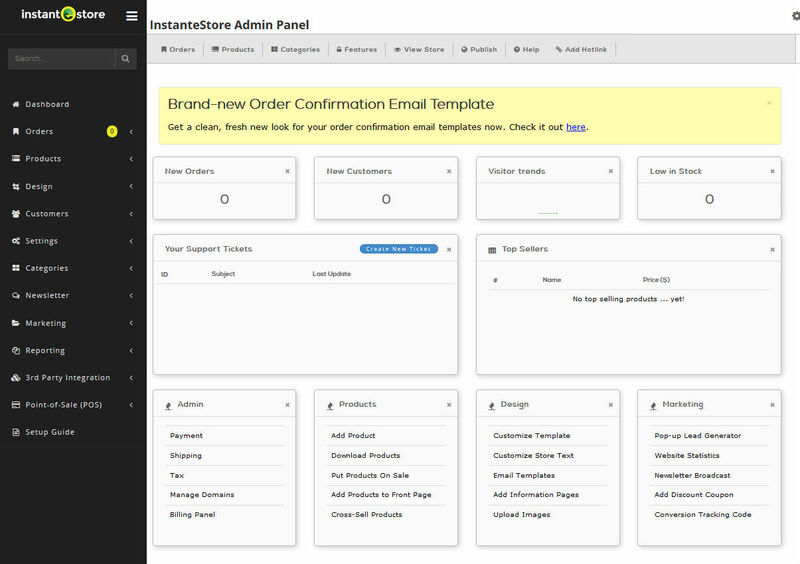 Merchants who wish to make changes to the free template could use the InstanteStore Template Editor. When they launched their new dashboard, it also came with brand new responsive templates that are mobile friendly. InstanteStore also allow merchants access to CSS and HTML codes if they wish to customize the look of their store on their own. 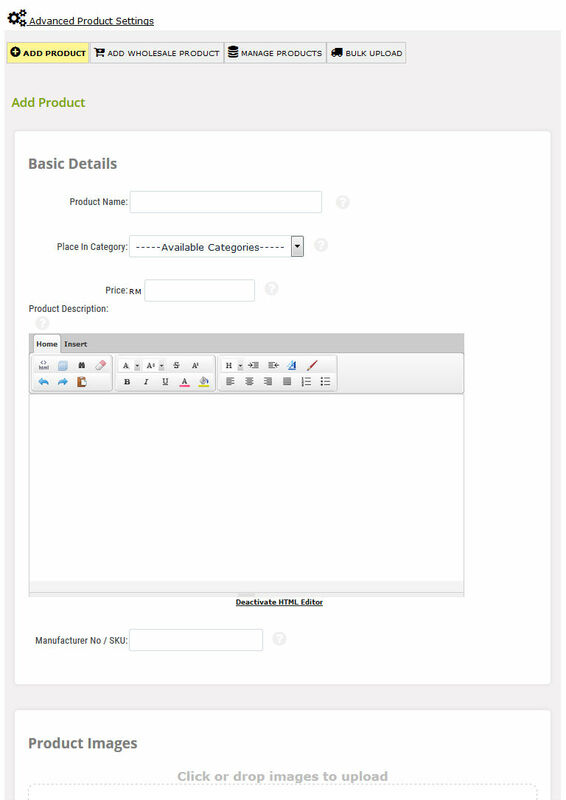 InstanteStore is able to custom design templates specific to merchant requirements as well. Custom designed templates start at $797 in which their web designers will design and built a template that is suited to your business brand. There’s also a Mobile Commerce feature which merchants could switch on that will simplify their site so that it displays better on mobile. No one wants to spend a lot of time looking at unnecessary information when they want to shop online. Built to help merchants convert better. For merchants who are getting traffic to their site, this feature allow merchants to split test different templates to see which one converts better. Merchants will be able to see the number of visitors, orders and value per visitor based on the different template used. They can then decide which best ecommerce template to use for their site as the results speak for themselves. It’s a good initiative by InstanteStore to help merchants who are already getting traffic to their site. Merchants just need to ensure that the templates used are configured properly to show their store well and to switch those templates to live mode. Most of the controls are located on the left side panel which is expandable. Merchants will notice that the new V8 dashboard shows the main tasks that sellers usually need to work with on with their store. Did I mention that the dashboard is customizable? Arrange the widget sequence and close off any of them that you don’t want to focus on. Neat! Merchants can easily see how their online store looks like by clicking on View Store. No need any passwords to see your store online. One less thing to worry about. For new merchants, there’s a setup guide when they sign up for the free trial which will give them an idea on what they need to do to complete setting up their online store. I like the fact that the setup guide does not force users to go through it but gives them the option on whether they would like to be guided or they could straight away jump into creating their store by adding in products. One just needs to add products, select the category or add your products to the current category, decide which payment gateway to use, configure shipping and sign up proper once your store set up is completed. 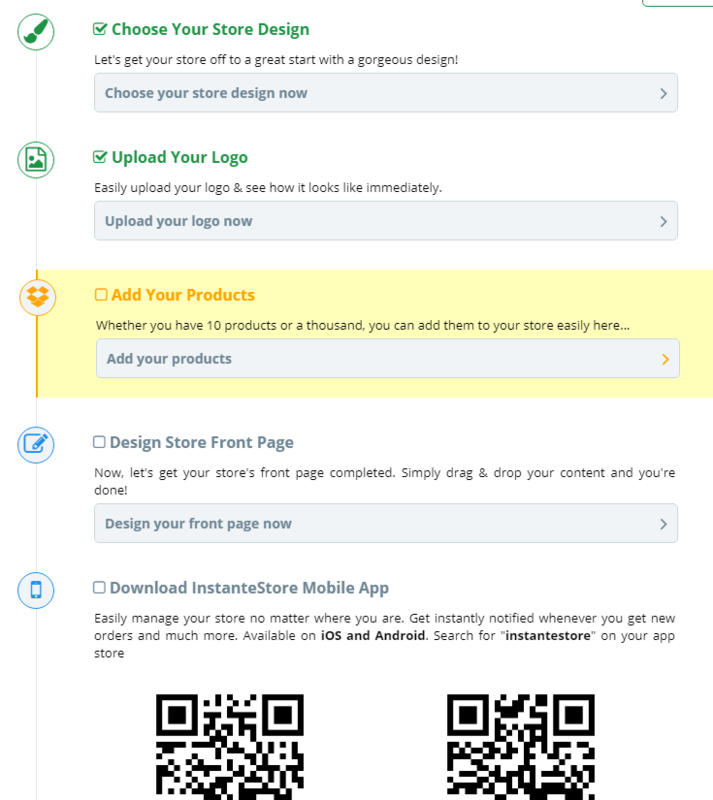 They’ve also included a QR code for merchants to scan to download the InstanteStore Mobile App on their phones. 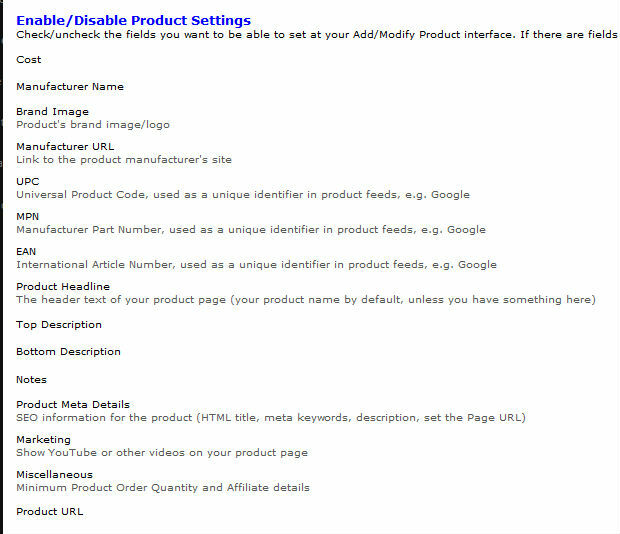 The last time I reviewed InstanteStore, their Add Products page was far longer with a lot of information that merchants need to look through to fill in. This time, I was rather pleased that they’ve simplified the look of their Add Products page making it cleaner, simpler and faster for merchants to add in relevant product info. Adding images are also faster and simpler as you only need to Click or Drop Images to upload them. Merchants can add up to 4 product images and easily arrange their display sequence by dragging the images within the box. Apparently if you want to add more than 4 product images, you can contact InstanteStore to make a request. These improvements show that InstanteStore is working towards making their ecommerce solution simpler and faster to improve user experience. New merchants just need to register for a free trial account and download the InstanteStore App from either Google Play or App Store (it’s FREE). Adding products with the app is easy. Just take a few shots of your product from different angles and add in the images, product name, price, description. 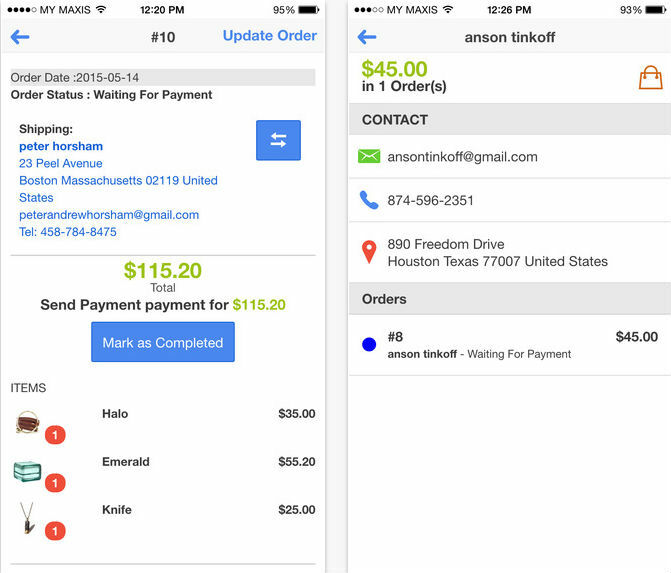 It’s so easy for merchants to add products to their store by using their mobile or tablets. Merchants will also be notified of new orders via push notifications and can see who the customer is all from the convenience of their mobile. Those who are constantly on the go will find this helpful as they can monitor and manage their online store with the app. However, setting up payment and shipping will still require one to log in to their online store. Those who encounter problems setting up their online store and who wish to contact technical support can do so via the app itself. Good initiative to provide another communication avenue for merchants to reach technical support. 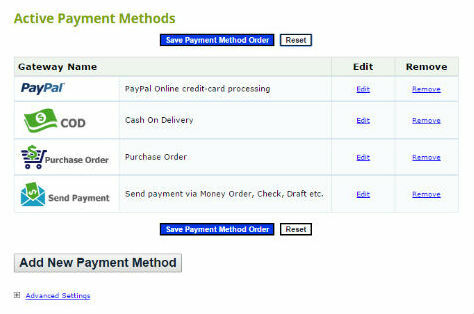 InstanteStore is integrated with more than 80 international payment gateways around the world. Merchants who plan on offering more than one payment gateway to process their payment could also arrange the sequence on how they want their payment gateway displayed at checkout. It’s basically a drag and drop feature which is pretty neat. They also have different offline payment methods for merchants who prefer to accept payment via checks, purchase order, cash on delivery, money transfer, etc. If there’s a payment gateway that a merchant is interested in which InstanteStore is not integrated with, they could write in and request for it. Configuring taxes is easy as merchants can decide whether to include or exclude the tax from the order value. Taxes can also be configured to charge by Country, State or Town to customers. 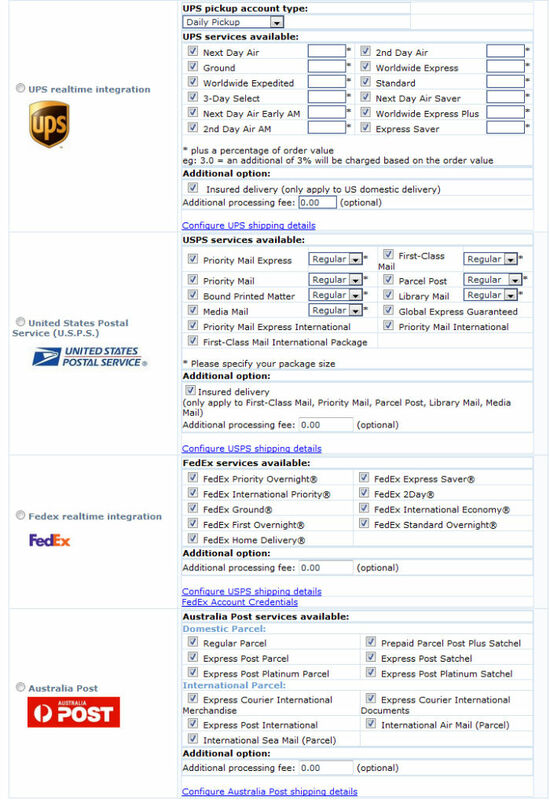 Merchants could choose to charge real time carrier shipping rates to customers as InstanteStore is integrated with UPS, USPS, Fedex and Australia Post. InstanteStore’s shipping module allow merchants to configure multiple shipping methods including real time shipping rates and manual shipping rates. Those who have a more complicated shipping requirement could contact the ecommerce software provider for help to configure shipping on their behalf. For instance, if you have a few warehouses with different product range to ship out to customers and you require shipping configuration for manual and real time rates shipping both domestically and internationally, InstanteStore could configure it all for you without you having to break a sweat. InstanteStore is also integrated with easyParcel, a Malaysian parcel delivery comparison website which will benefit both Malaysian merchants and Malaysian customers. The feature allows Malaysian customers to see the best rate for shipping while Malaysian merchants get to save time from filling up unnecessary courier documents. A good initiative to help both sellers and buyers save time and money when it comes to shipping parcels around Malaysia. Their one page checkout makes it easier for customers to complete the check out process without having to go through different pages thereby minimizing abandoned cart rates. Guest checkout or easy checkout is also an available feature for customers who do not want to create an account. Customer account creation for normal checkout process allow merchants to capture customers’ details in order to send follow up offers, newsletters, discount codes, etc. The Abandoned Cart or Aborted Orders section in Manage Orders is able to show merchants orders that were not completed by their customers whereby merchants have the option to email these customers separately to encourage them to complete their orders. Merchants can completely customize all the email templates that are sent to customers or those that are automatically sent out by the system. These include packing lists, aborted order emails, discount coupons, gift certificates, order confirmation emails, etc. Plans are based on number of products that merchants sell on their store. Product count are not based on product options as in 1 product could have different sizes and colors but is still considered 1 product. Social Media integration. Merchants can set up a Facebook Social Store by selling some of their best sellers on Facebook. 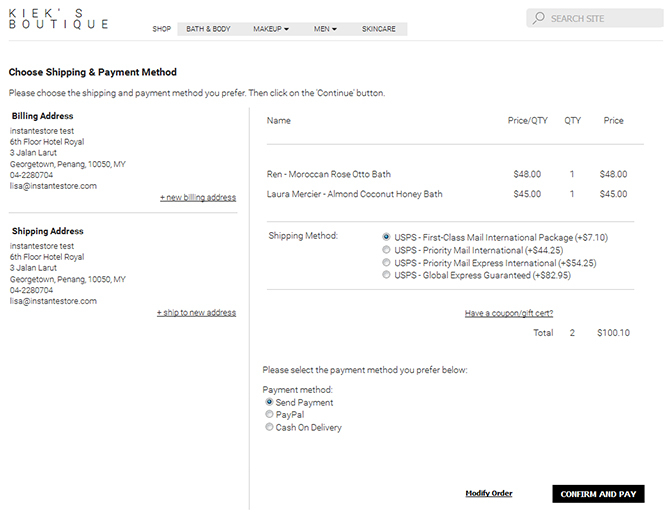 Customers can make the purchase within Facebook as the checkout will be similar to the store checkout. Gift Certificates and Discount Coupons can be generated by batch to be shared on social media or emailed out to existing customers. 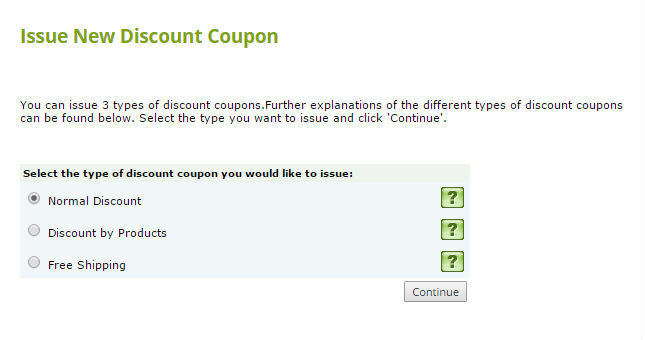 Discounts can be in the form of normal discount or by product or even free shipping. Ratings and Reviews can be shown on the product page once approved by the merchant. Merchants who own a brick and mortar store will be delighted with the new InstanteStore POS system which is integrated with their powerful ecommerce solution. With the ability to share stock between physical store and online stores, this helps to prevent overstocking while giving merchants a better grip on inventory management. All you need is just an iPad 2 while other hardware like printers, cash drawers and barcode scanners are completely optional. Contact InstanteStore to find out more. The ecommerce software provider offers technical support in the form of email, live chat and phone on top of access to their Knowledge Base (for merchants). Merchants can even send in a support ticket via the Instantetore App by including a snapshot of the problem they’re facing or even by recording it with voice, taking a video or explaining it in text. Talk about going the extra mile to service your customers! 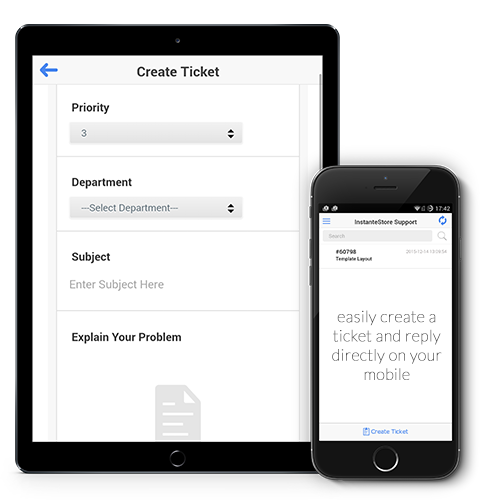 The app will even notify you via mobile when the ticket is answered. Their range of service is quite wide and flexible as they offer customization in terms of design and feature to helping merchants migrate or set up their online store to helping them improve conversion. To contact InstanteStore, here’s their Contact Us (http://www.instantestore.com/contact.cfm). When contacted, InstanteStore informed me that they have rolled out fresh new mobile friendly and responsive templates for their merchants recently. In regards to shipping being complicated, they said that merchants could contact them and they’d be happy to help merchants configure their shipping. Their team of developers are currently working stage by stage to revamp their ecommerce solutions and one of their main focus is to simplify the process further so that merchants do not need to go through so many steps with their ecommerce features to get tasks done. Those who are having difficulty with the Template Editor could contact their tech support team and they’ll help walk them through on how to use the Template Editor. InstanteStore offers free shared SSL Cert which their merchants do not need to pay for which is additional cost savings for them. Merchants who wish to use their own SSL Cert could ask InstanteStore to purchase and upload it to their site or provide their own SSL cert to them to upload. While InstanteStore may not look as shiny as some of their competitors, their ecommerce solutions wins hands down in terms of providing value to merchants who are looking for a competitive priced solution that won’t burden them with additional charges for apps or transaction fees. As seen that they are constantly working to improve their solution, it’s a matter of time before they catch up with the other ecommerce providers in terms of looks. Functionality wise, they have quite a range of ecommerce features that merchants have full access to which work as well if not more powerful and are able to handle complicated requests. By being flexible and able to offer customization to merchants, this ecommerce solution is meeting the needs of their merchants in different yet creative ways to help them sell more and grow better.